Mail.Ru Games, the gaming division of the Russian Internet giant Mail.Ru Group, has announced its plans to release several titles across Asia Pacific in partnership with local publishers, including the gaming giant GREE. The agreement follows the news that GREE was teaming up with Yahoo Japan, as well as the company’s earnings report showing $467 million in net sales, down 8% on the previous quarter. The first Mail.Ru’s game it has adapted for the Japanese market in partnership with GREE is “Juggernaut: Revenge of Sovering” for Android devices. The graphic RPG in fantasy setting is now at the testing stage and will hit the market in January 2013. 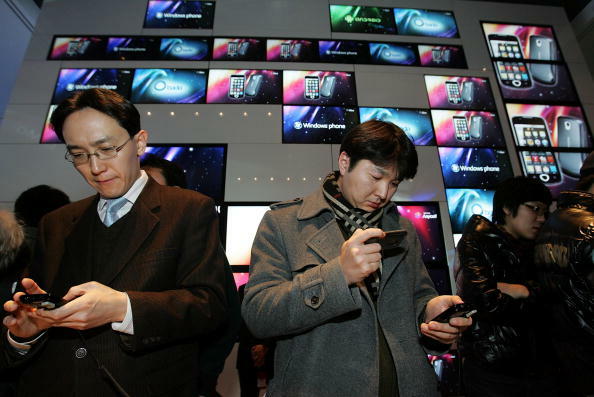 South Korean mobile users will also see the “Revenge of Sovering” in 2013, but later than their Japanese counterparts. At this market, Mail.Ru Games has partnered with the publisher LivePlex. Another title Mail.Ru Games is planning on launching in Japan is the “Doodle Cat” puzzle with pencil-drawn animation. This title will be published by DigiPark, Inc.
Mail.Ru Games is mostly known by its browser-based online games, some of which have been released in Europe and the US, with a total monthly audience of some 25 million users. The company has its development offices in Russia, Ukraine and Germany. Image credit: Chung Sung-Jun / Getty Images. Read next: Get your glowsticks out and dance...to the Skype ringtone?